These sculptural bowls originate from Turkey. Made using a traditional Japanese pottery technique called Raku, each piece has textured surfaces and unpredictable patterns meaning that no two pieces are alike. 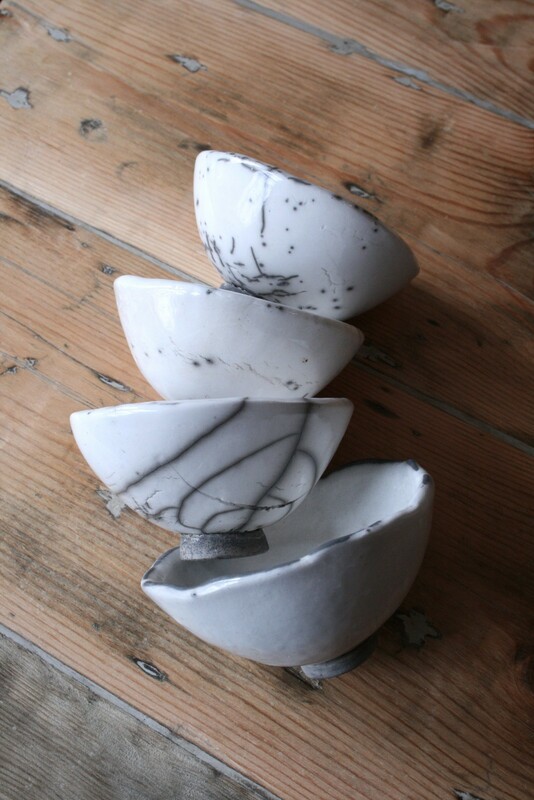 These beautiful bowls could be used in a variety of ways: drinking bowls; soap dish; a display piece. All of the bowls sit on a small base and have a white glazed finish. Each one is unique in its graphite embellishment however, with some featuring speckles and others stripes. There are three of these bowls available.